As the great historian of Islam, Bernard Lewis, remarked some years ago at a lecture in Washington, D.C., Sufis, followers of the mystical way in Islam, are "peaceful but not pacifist." That is, Sufis dedicate themselves to personal and collective spiritual cultivation, and seek fruitful and mutually respectful relations with non-Sufi Muslims and members of the other religions. But Sufis also fight to defend themselves and their communities from aggression and oppression. 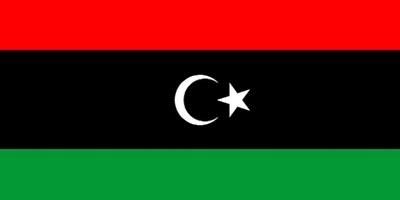 In the Libyan Revolution, the flag of the anti-Gaddafi resistance is composed of three stripes -- red, black and green -- with a white crescent and star, the traditional Islamic symbol, in its center. This was a clue indicating the Sufi tradition, with which many Libyan rebels identify, from the beginning of the struggle against the dictator earlier this year. Various Western observers have speculated that the opponents of Muammar Gaddafi might be aligned with al Qaeda in the Islamic Maghreb (AQIM), the local franchise of the international terrorist movement. Remnants of the former jihadist Libyan Islamic Fighting Group, now the Libyan Islamic Movement, are reported to have joined the anti-Gaddafi effort. Yet, the emblem with which the Libyan revolutionaries risked and sacrificed their lives is specifically that of the pre-Gaddafi state of King Idris (1889-1983), who was Libya's only king from 1951, when he led the country to independence, until 1969, when he was overthrown by Gaddafi. King Idris was head of the Senussi Sufi order, and memory of the "Sufi king" is deeply engrained in the Libyans. Idris governed a constitutional state firmly aligned with the West, built a modern university with facilities in Tripoli and Benghazi and otherwise reflected enlightened attitudes. Libya also possessed a distinguished Senussi religious university, which Gaddafi closed in 1984 as part of a campaign to extirpate memory of the Senussi tradition. Sufi scholars from the rest of the world, however, continued to visit the country, discreetly, to study with its surviving Sufi sheikhs, until the onset of the revolution. Before becoming king, Idris reigned over Cyrenaica, the eastern region that has been the center of Libyan opposition to Gaddafi. Still, his standing as grandson of Sayyid Muhammad Ibn Ali As-Senussi (1787-1859) was the real source of his legitimacy. Sayyid Muhammad Ibn Ali As-Senussi established the Senussi Sufi order as a branch of the Idrisi Sufis, founded by the Moroccan Sufi Ahmad ibn Idris (1760-1837), one of the most important figures in modern Islamic thought. Ahmad ibn Idris was notable both in his reforming concepts -- he called for abandonment of the traditional sharia schools of Islamic law -- and for his active criticism of the ultra-fundamentalist Wahhabi school. The Senussi Sufis were prominent in Libya's efforts against French as well as Italian colonialism, during the first two decades of the 19th century. Rome controlled Libya as a colonial possession from 1911 until the fall of fascist Italy in 1943. The Libyan national struggle against Italy was led by Omar Mukhtar, a Senussi Sufi teacher. In this atrocious conflict, hundreds of thousands of Libyans died. Omar Mukhtar was hanged by the Italians in 1931. He had studied at an earlier Senussi university, in the town of Al-Jaghbub, the main Senussi redoubt, on the Libyan border with Egypt. The regime of Gaddafi attempted to coopt the legacy of Omar Mukhtar, and he was portrayed by Anthony Quinn in a 1981, Libyan-subsidized film, "Lion of the Desert." Omar Mukhtar's reputation, like the flag of the Senussi-Sufi monarchy, was resurrected by the fighters against Gaddafi; Graeme Smith of The Globe and Mail in Toronto noted on July 31 that one of the anti-regime brigades had been named for Omar Mukhtar. To emphasize, the Libyan historical and spiritual heritage dominating the anti-Gaddafi campaign has drawn on precedents that could not be more distant from the radicalism of al Qaeda. In the words of the eminent scholars Frederick de Jong and Berndt Radtke, editors of the massive 1999 volume Islamic Mysticism Contested on Sufism and its opponents in Islam, the Senussi Sufis who ruled over eastern Libya did not persecute "those who were not in agreement with Sufism as adhered to and practised by those in power." According to Libya: A Country Study, published by the U.S. Government in 1987, as the founder of the Senussi order, Sayyid Muhammad Ibn Ali As-Senussi "did not tolerate fanaticism." Libya stands as one of the distinguished centers of a Sufism opposed both to unquestioning acceptance of Islamic law and to scriptural absolutism, and dedicated to freedom and progress. With the fall of the dictatorship, it will now be necessary to analyze whether and how Libya's Sufi past can positively influence its future.